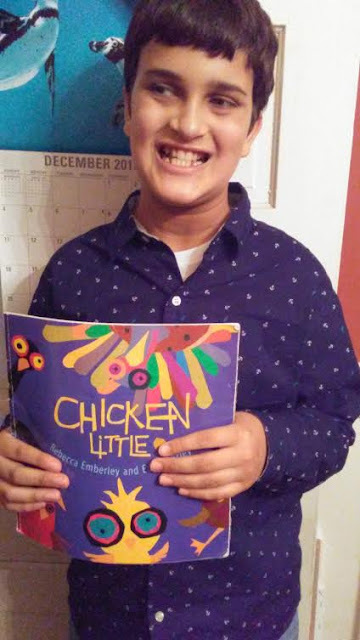 My son, Nathan, loves the story of Chicken Little especially the book above which he gets from the bookshelves, turns the pages, and laughs at each sense of Chicken Little and his bird friends because "the sky is fall"!! Over the years, due to living with severe Autism and speech delay, Nathan slowly has enjoyed story time with me or actively reading the pages by himself! 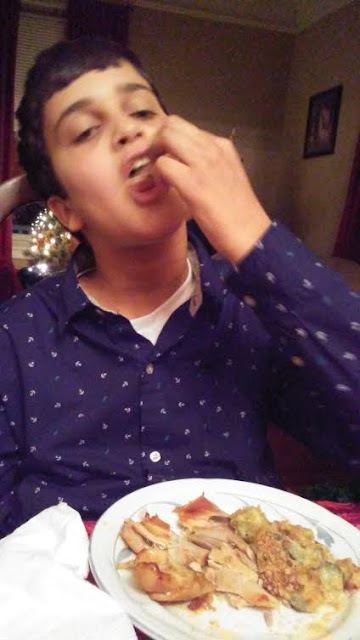 After storytime, Nathan enjoyed a Southern dinner with including BBQ chicken on cold, evening!! And he loves dressing himself esp this dark blue Nautica shirt with anchors on it because Nathan loves water and water animals! !